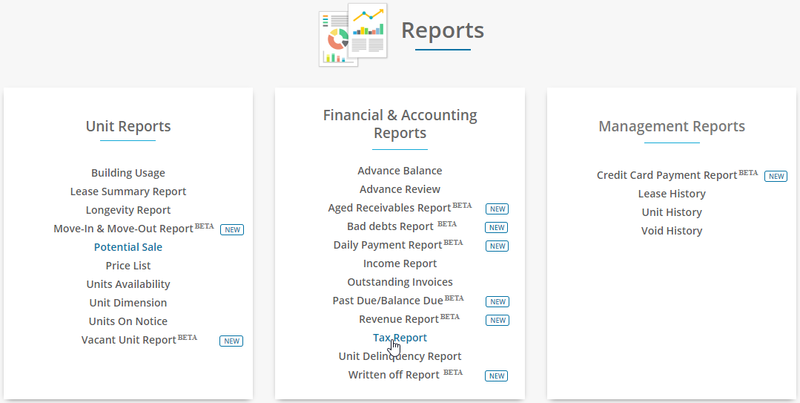 Under Financial and Accounting Reports section, you can find the Tax Report. Click on the tax Report. Select the desired location and invoice paid date and hit on get report button. For both invoice and receipts. For the selected date range, you will be able to view the tax report with the unit number, tenant name, invoice amount, and tax amount. You can also export the tax report in an excel sheet and file it for auditing purposes.